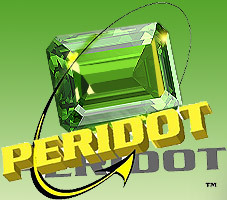 Peridot offers rapid prototyping services including form study prototypes, functional prototypes, proof of principle prototypes, scale models, and short run production quantities. We specialize in 3D printing, FDM, SLS, DMLS, and SLA prototyping. Many prototype materials including Bluestone, Accura 25, Duraform Nylon, Duraform GF, impact resistant polyamide, ABS, and polycarbonate are offered depending on prototyping process and application. 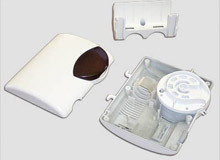 We specialize in producing translucent prototypes which aid in better understanding of internal fit and functionality with mating components. We meet tolerances as tight as ±.003” for small components and offer a variety of surface finishes including Grade A, Grade B, painted, tinted, and plated finishes. In addition to our prototyping, we offer a variety of engineering and design support including CAD, mechanical design, and manufacturing advice. Our flexible manufacturing and efficient prototyping capabilities also make us an excellent source for short production run manufacturing. For more information about our rapid prototyping services, please see the table below, or contact us directly.